Inhibition of Ca2+ entry into the hippocampus and dorsal root ganglion (DRG) through inhibition of N-methyl-d-aspartate (NMDA) receptor antagonist drugs is the current standard of care in neuronal diseases such as Alzheimer’s disease, dementia, and peripheral pain. Oxidative stress activates Ca2+-permeable TRPM2 and TRPV1, and recent studies indicate that selenium (Se) is a potent TRPM2 and TRPV1 channel antagonist in the hippocampus and DRG. In this study, we investigated the neuroprotective properties of Se in primary hippocampal and DRG neuron cultures of aged rats when given alone or in combination with scopolamine (SCOP). Thirty-two aged (18–24 months old) rats were divided into four groups. The first and second groups received a placebo and SCOP (1 mg/kg/day), respectively. The third and fourth groups received intraperitoneal Se (1.5 mg/kg/ over day) and SCOP + Se, respectively. The hippocampal and DRG neurons also were stimulated in vitro with a TRPV1 channel agonist (capsaicin) and a TRPM2 channel agonist (cumene hydroperoxide). We found that Se was fully effective in reversing SCOP-induced TRPM2 and TRPV1 current densities as well as errors in working memory and reference memory. In addition, Se completely reduced SCOP-induced oxidative toxicity by modulating lipid peroxidation, reducing glutathione and glutathione peroxidase. The Se and SCOP + Se treatments also decreased poly (ADP-ribose) polymerase activity, intracellular free Ca2+ concentrations, apoptosis, and caspase 3, caspase 9, and mitochondrial membrane depolarization values in the hippocampus. In conclusion, the current study reports on the cellular level for SCOP and Se on the different endocytotoxic cascades for the first time. Notably, the research indicates that Se can result in remarkable neuroprotective and memory impairment effects in the hippocampal neurons of rats. Possible molecular pathways of involvement of selenium (Se) in scopolamine (SCOP) induced apoptosis, oxidative stress, and calcium accumulation through TRPM2 and TRPV1 channels in the hippocampus neurons of aged rats. The TRPM2 channel is activated by ADP-ribose and oxidative stress, although it is inhibited by ACA. The TRPV1 channel is activated by oxidative stress and capsaicin, and it is blocked by capsazepine (CPZ). 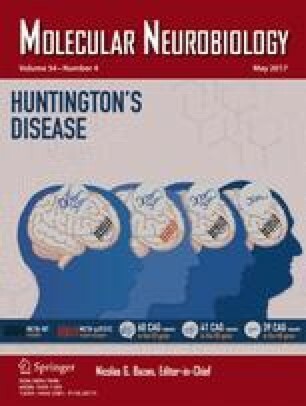 The beta-amyloid plaque induces oxidative stress in hippocampus. SCOP can result in augmented ROS release in hippocampal neurons, leading to Ca2+ uptake through TRPM2 and TRPV1 channels. Mitochondria were reported to accumulate Ca2+ provided that intracellular Ca2+ rises, thereby leading to the depolarization of mitochondrial membranes and release of apoptosis-inducing factors such as caspase 3 and caspase 9. Se reduced TRPM2 and TRPV1 channel activation through the modulation of aging oxidative reactions and Se-dependent glutathione peroxidase (GSH-Px) antioxidant pathways. The study was supported by the Unit of Scientific Research Project (BAP), Süleyman Demirel University, Isparta, Turkey (Project Number BAP: 4257-TU-15). There is no financial disclosure for the current study. MN and KD formulated the hypothesis and were responsible for writing the report. İSO and HB were also responsible for the animal experiments such as the induction of memory injury through SCOP administration and injection of selenium. İSÖ performed the Ca2+ analyses Western blot, apoptosis, and mitochondrial depolarization analyses. The study was approved by the Local Experimental Animal Ethical Committee of Suleyman Demirel University (SDU) (protocol number 10.02.2015-03). All research procedures and animal care complied with the guidelines of the International Association Study Plan for induction of memory injury. The animals were maintained and used according to the Animal Welfare Act and the Guide for the Care and Use of Laboratory. Kahya MC, Nazıroğlu M, Çiğ B. Modulation of diabetes-induced oxidative stress, apoptosis, and Ca2+ entry through TRPM2 and TRPV1 channels in dorsal root ganglion and hippocampus of diabetic rats by melatonim and selenium. Mol Neurobiol. 2016 [Epub ahead of print]. DOI 10.1007/s12035-016-9727-3.